Set in a quiet tightly held pocket in Annandale, this expansive residence is perfect for a growing family. From the moment you enter through the timber double entrance doors you know you have found a very special home. Split-air conditioning throughout, the refreshed interior is set to impress. High ceilings, formal entry, 2 separate living areas. Cool white kitchen featuring a gas cooker. 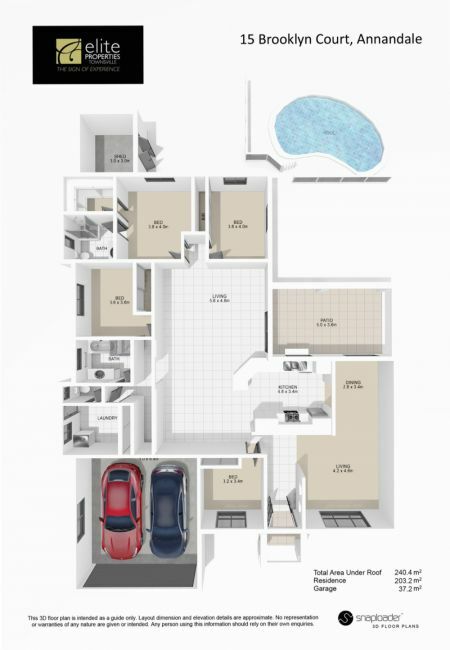 4 bedrooms in total master WIR/ensuite. Resort pool, plenty of yard to play. All weather outdoor entertaining areas to host family and friends.